Although heralded differently, none can deny that fall is among one of the most anticipated seasons. You may most look forward to the annual release of the Pumpkin Spice Latte or be more of a pumpkin-pickin’ kind of person. If coffee and pumpkins don’t top your priorities, maybe college football does. In fact, research shows that about 25 percent of the U.S. population — between 75 and 80 million people — follow college football regularly during the fall season. Here in Kentucky, we’re proud to claim ownership of some top-notch collegiate programs. If you reside in Western Kentucky, chances are you, a family member or one of your neighbors proudly sport that Hilltopper red year-round, but especially during football season. There just aren’t many things comparable to cheering on the Tops alongside 20,000 of your closest friends and fellow WKU die-hards at Smith Stadium. No words can justly describe the experience of catching the WKU spirit and the hype follows. Although we’re believers in the University motto of “The Spirit Makes the Master,” we also recognize that it’s easy to get carried away in sights and sounds of game day, and forget to protect against the latter. Keep earplugs in your pocket. Your proximity to the sound may vary throughout the game thus varying your need to be protected. HealthDay conducted a study with a group of 20-somethings who went to a concert. Half of them wore ear plugs to protect their hearing while the other half of the group went unprotected. At the end of the event, the group that didn’t wear hearing protection reported tinnitus or other minor forms of hearing loss. Although their hearing eventually self-restored, consistent exposure to loud sounds can lead to more permanent damage in the future. Distance yourself from the epicenter of the noise. Although wearing earplugs is effective in hearing protection, it can only do so much to prevent hearing loss. So, give your ears and legs a break by occasionally getting up out of your seats and walking around the stadium. It also allows you to get the full game day experience. 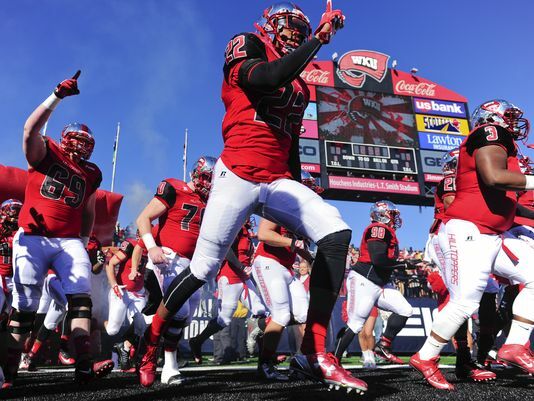 If your ears are still ringing after cheering on the Tops, contact your local hearing health practitioner to inquire about possible screening options.